The latest mobile game from the team behind the frustratingly addictive Crossy Road. It combines their quirky retro aesthetic with the good old vertical shmup genre. 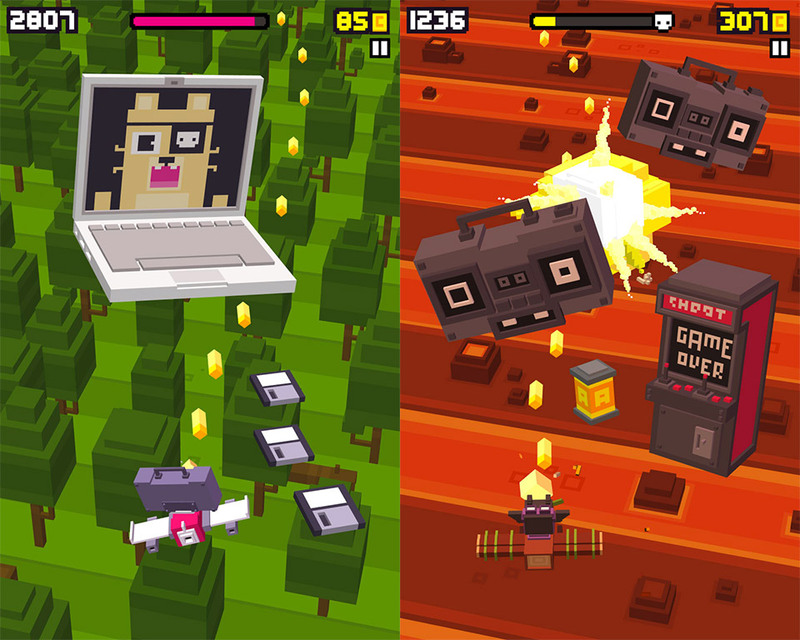 Crossy Road is to Frogger as Shooty Skies is to Xevious. iOS only so far; hopefully on Android soon.